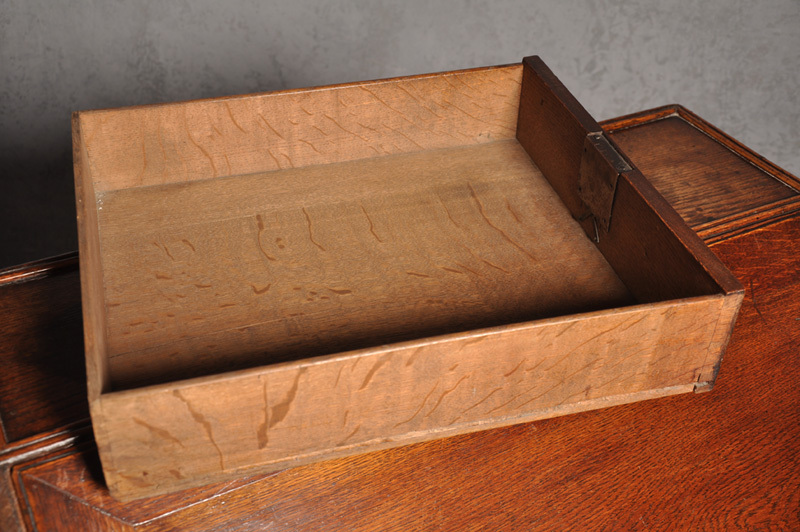 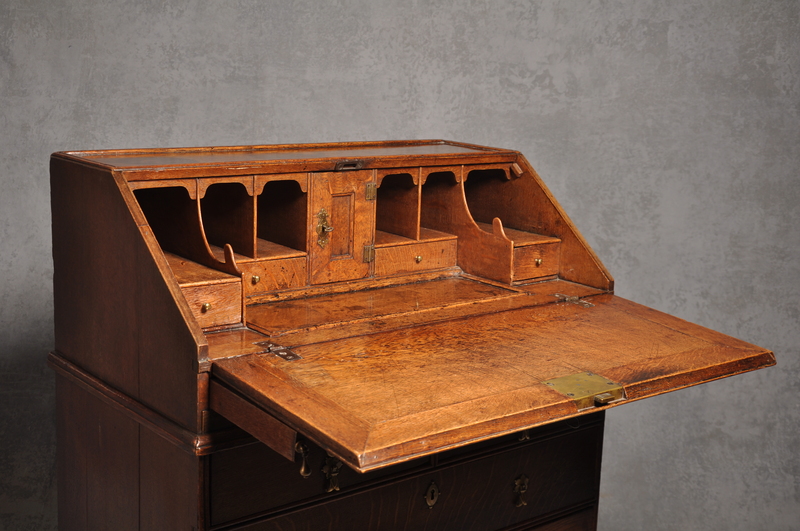 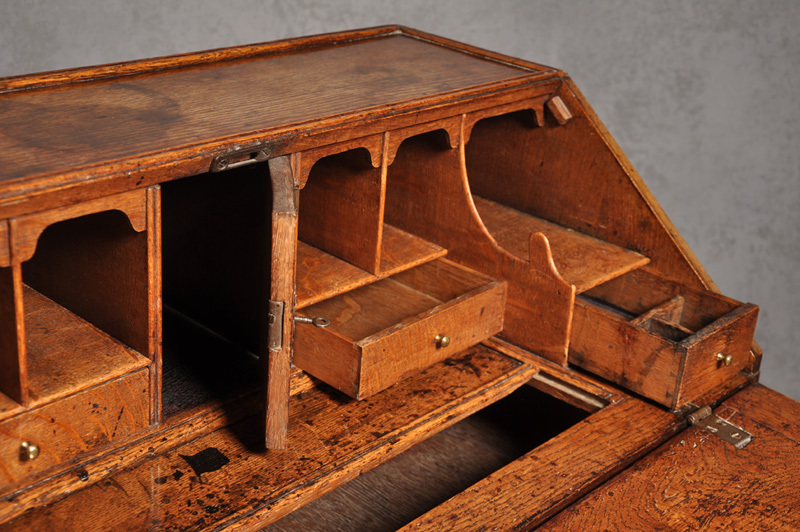 A fine Queen Ann Oak Bureau of small proportions with a particularly nice shaped and stepped interior with a central door. 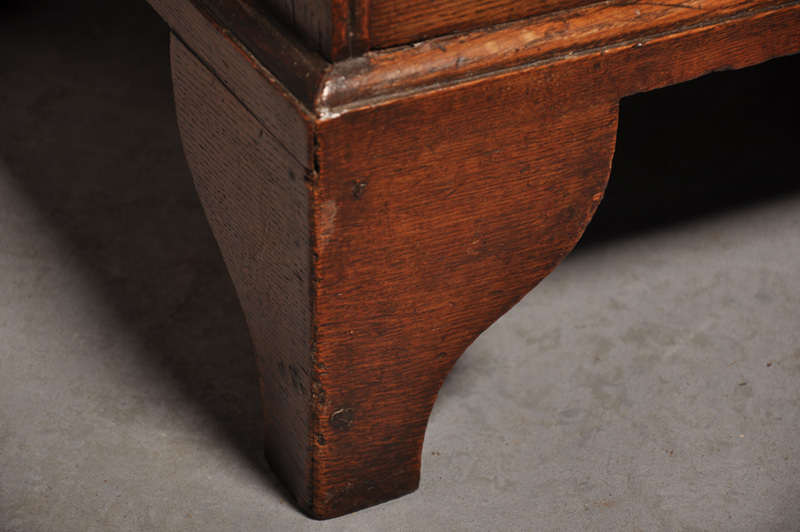 The quite unusual sweeping O G feet to the front are a very feature the back ones have been replaced to match at some time. 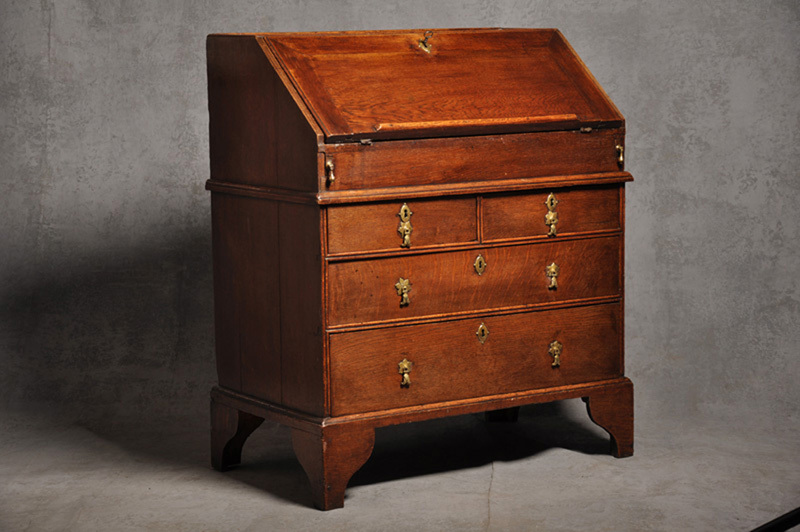 Circa 1710.